This week’s article will not be the usual lenght as this track is a one-hit-wonder and actually a cover from a popular 80s-band. So which track am I thinking of? 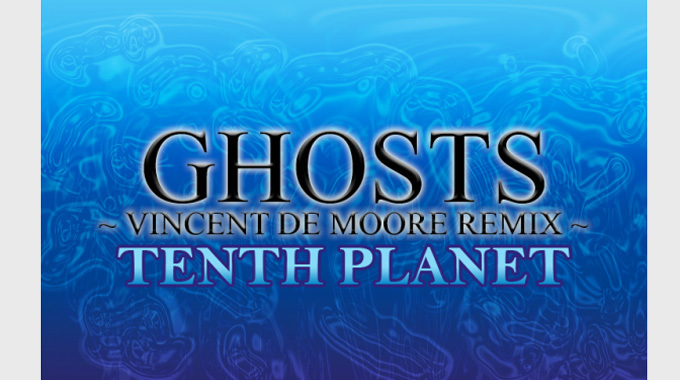 Tenth Planet – Ghosts (Vincent De Moor Remix). Tenth Planet was a project by Gez Dewar and Nick Hale, also know under the guises Barraka, Doi-Oing, The Experiment, Heliotropic, Rhythm Thieves and Vengeance. Their biggest hit to date is their remake of 80’s band Japan’s popular song Ghosts. The singer on the Tenth Planet’s version is Clare Pearce, who’s a member in their other project, Barraka. I really love the tiny flanger they put on her vocals. Although the original 1982 UK Top 5 hit by Japan is abit dark and moody, the Tenth Planet-release feels a bit happier. Originally released in 1998 in the US on promo-cd but made popular in 2000 when releaserd in the UK and the rest of Europe. A cool fact about the 1998 promo-cd is that the original listing only had 6 tracks but the actual release had 7 tracks. The version not listed was the Redanka’s Spooky Disco Vocal Mix. The version I prefer is the Vincent De Moor-remix which IMHO is a really well-produced trancetrack, especially the bassline which also can be heard in Vincent’s project Veracocha (together with Ferry Corsten). After the success of Ghosts, Tenth Planet released a second single, the 2002 single Walk On Water which didn’t do any good so the project was scrapped after that. Although the track is nearly 15 years old, I still find the track quite fresh. The track has ben re-released over the years and was even featured as classic of the week on Armin Van Buuren’s radio show A State Of Trance. And that’s what I concider it to be. A true classic.